Automagic Musings | I know code fu. 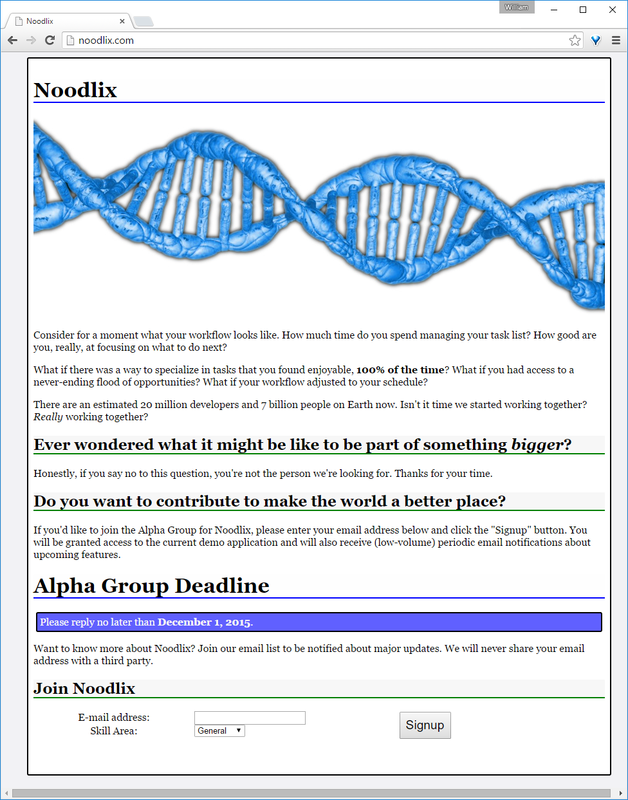 Today I created two parallel domains to test out ways of driving new users to Noodlix. Both domains feature a simple landing page that is suitable for advertising. Users can read a brief synopsis of what the service aims to provide and then signup for the site’s newsletter. Under the hood, both sites *are* the same service. There are some minor CSS and domain name differences, but the content is identical. I created a Facebook Ad and two Google AdWords campaigns. So far I’ve had some interest from people I know directly, but I haven’t started promoting the idea very hard online until now. On the backend, these forms just submit an email message, notifying me when someone has subscribed (or unsubscribed). 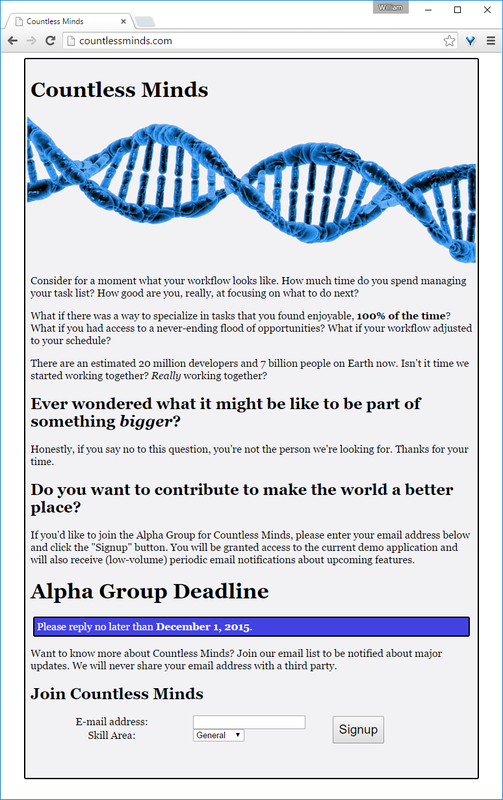 I set an initial deadline of December 1 for the Alpha group. The plan is to iterate with whoever joins between now and the end of my NMotion prelaunch class. I’ve been experimenting recently on building tools to help programmers coordinate effort in new ways. While thinking about my core design problems this evening, I decided to calculate a rough estimate of the world’s development capacity in terms of raw source code produced per day. Software is eating the world at an average rate of perhaps 7.5 MB/sec. A source code “blockchain” of *all* of our productive work completed each week would fit on a single 4 TiB HDD. Within 10 years, we’ll be able to store the combined output of roughly 6 months of work on a single consumer drive (assuming ~100 TiB capacity and little change in productive output per day). Now, I’m not saying that we can fit all of the derivatives of that work on a single computer, but in terms of raw text produced per day, it seems quite doable. What this means for our productivity is an interesting thought. With our bandwidth to the computer being so low, it seems obvious that we should be constantly looking for ways to leverage and learn from the work done by others. Github, Stack Overflow and Slack are steps in the right direction, but I think it would be awesome if we had a global source code pool. I image such a system would provide a collective heartbeat of the development community. What do you think? Here’s a pronunciation guide for base 256 that I came up with during a Computer Science lecture circa 2002. We encode values using a single syllable. This makes expressing values natural and easy, because each syllable is expressed by *value*. Letters are incremented in much the same way as numbers would be. The letters are given in ascending order above, so “bac”==0 and “zom”==255. The starting consonants encode the high-order nybble and the vowel + ending consonant encodes the low-order nybble. Taken together, the three letters encode a single byte. The preview below shows how the game appears to someone wearing red/green 3d glasses. The right eye can only see the active pieces. The left eye can see the placed pieces. I ran across a post today that begged for a couple of answers. What I don’t understand is why there’s such reluctance towards making the die bigger. I understand the benefits of making the process smaller, but there has to be a limit somewhere, and it would seem easier/more cost effective to just make the die bigger. Who’s idea was it to have this completely arbitrary general die size and attempt to always stuff more transistors onto it? If you have a 5mm x 5mm die with 500 million 90nm transistors, you can either halve the process size to 45nm to get 1 billion transistors or you could just double the die size to 10mm x 10mm… Aside from heat and power consumption, why wouldn’t that work? 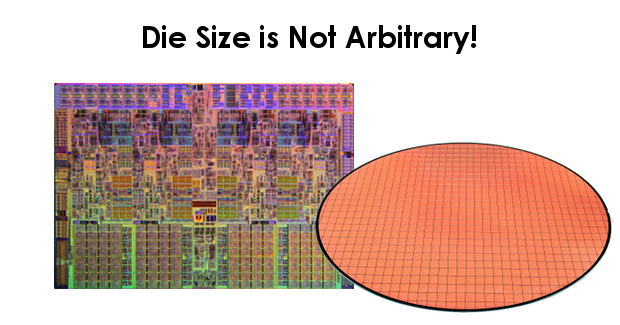 Die Size is “completely arbitrary”: false. It would be more cost-effective to make larger dies: false. There is a reluctance to making the die bigger: false. There has to be a limit to transistor feature size: true. It would be easier to make larger dies for a given design: false. Halving the process from 90 nm to 45 nm would double transistor count: false. “Doubling” the die size from 5 mm x 5 mm to 10 mm x 10 mm would double the transistor count: false. The poster understands the benefits of making the process smaller: false. “Someone” decided to make die size consistent: true. Processors are manufactured by etching features into large wafers measuring approximately 100 nm to 300 mm in diameter. Intel Samsung, and TSMC announced a transition to 450 mm wafers in 2008. The equipment required to work with wafers dominates whether or not it is economically feasible to increase wafer size. As we will see below, decreasing die size reduces waste and improves yield. So manufacturers have significant pressure to reduce die size. Equipment for etching wafers is expensive (measured in billions of dollars). Standardizing on wafer size allows manufacturers to control costs. Large dies waste more surface area for a given wafer. 1 Huge Die: A 300 mm wafer can fit a single large die of 45,000 mm. The wafer has 70,685 mm^2 available area, so this results in a waste of 36.3 percent. 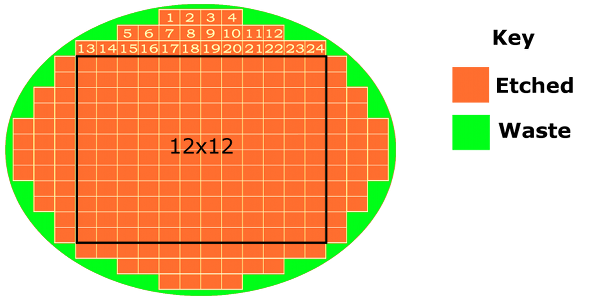 A 16×16 mm die has 256 mm^2 area. We can fit 240 256-mm^2 dies onto a single 300 mm wafter (4×4 + 4×8 + 4×12 + 12×12). 240 Dies: Requires 61,440 mm^2, which results in a waste of 13.1 percent. Result: You can approximate a circle more effectively with smaller dies, resulting in fewer wasted materials. The analysis above assumes perfect manufacturing. This is not realistic. In the case of the single large die any imperfection will cause the entire chip to fail. Define the probability of a surface defect as 0.01% per mm^2 etched (just for illustrative purposes). Continuing the example above, we etch 45,000 mm^2 to create our monolithic chip. Unfortunately, our error rate in etching dooms us to failure. On average we expect to find 4.5 errors per chip etched and any error results in a wasted chip. This means our etching process will produce chips with a 100 percent failure rate. This scenario is much more realistic. For a 256-mm^2 chip we observe an overall failure rate of 2.9% for the same manufacturing hardware. Clearly smaller dies are much more economical. The worst-cast scenario is when each error occurs in a separate die (multiple errors per die are actually better for our chip failure rate). At most 7 dies will fail. Result: Smaller dies reduce the impact of etching defects, resulting in higher yields. For a given wafer size, decreasing die size improves both yield and cost. Increasing die size reduces yield. A manufacturing process with 99.99% reliability will fail to produce a working 45,000 mm^2 chip 100% of the time. The same process will produce working 256-mm^2 chips 97.1% of the time. Die size has been increasing over time. According to Wikipedia, the die size of the Intel 4004 chip was 12 mm^2. The first Pentium was 294 mm^2. Since then it seems Intel has tried to keep die size under 300 mm^2 as a cost-savings measure. Intel and other manufacturers are currently transitioning to 450 mm wafers, but retooling is expensive. The increase in die area between the Pentium and the 4004 was 24-fold. The increase in transistor count between the Pentium and the 4004 was 1,347-fold. Result: Overall chip size measured in transistor count, physical size, and transistor density has been increasing since the introduction of the Intel 4004. Individual atoms measure in picometers – about 100 to 500 – or 0.1 to 0.5 nm. Individual transistors need at least 10 atoms to function. Result: Without fundamental improvements in design, we will not be able to scale transistors smaller than 5 nm. Whenever we work in two dimensions we have to be careful by what we mean when we say “double”. If you double the area of a square, you only increase the length of each side by a factor of about 1.414 (since 1.414 x 1.414 = 1.99396). If instead we double the length of each side, then we are quadrupling the area! In the example above, we have a mythical CPU with 500e6 transistors packed into a 25 mm^2 area. This results in a 20e6 / mm^2 transistor density. “Doubling” the die size results in an area of 100 mm^2. 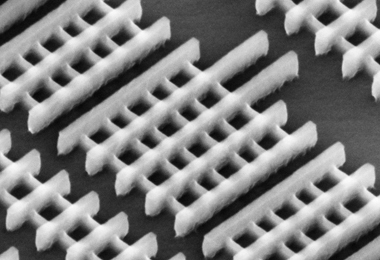 Packing transistors at the same density results in a CPU with 2 billion transistors (4x the original). Result: Doubling die dimensions quadruples transistor count and die area. In the case of halving the feature size from 90 nm to 45 nm we see a similar effect. Note that feature size is generally not transistor size – but it should be proportional given the same design. 90 nm x 90 nm = 8100 nm^2. 45 nm x 45 nm = 2025 mm^2. Size difference between 90 nm and 45 nm transistors = 8100 / 2025 = 4. The ratio of transistors to the limit imposed by feature size should match. 45 nm CPU @ 1 billion transistors: 1e9 / 1.2e10 = 0.0833 – this is not our ratio! 45 nm CPU @ 2 billion transistors: 2e9 / 1.2e10 = 0.1667 – matches! Result: Halving feature size quadruples transistor count for a given die size. I started playing Go recently and I wanted a decent Windows program to use. A friend of mine showed me iGoWin. 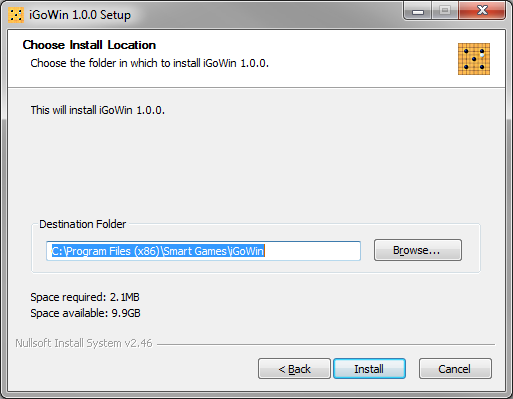 I noticed after I downloaded it that the installer was pretty basic. It was written in 1997-98 and uses the outdated .hlp help file format. While still quite useable in Windows 7 64-bit, it was clear that the installer and help files needed some TLC. To that end I have recompiled the help files in .chm format and included links to them with a full-fledged installer (created using NSIS). The original author (David Fotland) would have to recompile the program to include links to the updated chm files. 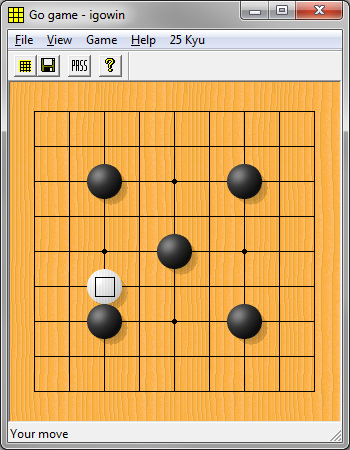 iGoWin is a free version of “The Many Faces of Go”. 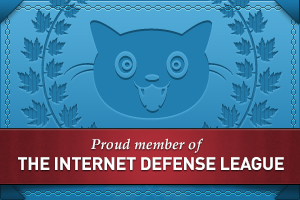 If you like using it, please consider buying the full version. I’ve included a link to David’s retail product page below. Provided below are links to the original download page I obtained iGoWin from as well as a direct link to the self-extracting package. I added a link to the Time Traveler Convention on my notes a while back. Figured I’d propagate it here too. I’ve been reading a book titled Dreaming in Code recently, which is a rather extensive case study of the development of an open-source project named Chandler. Many of the lessons and references to programming in general have hit home with my experience. Things like the fact that many programmers would rather program than eat or sleep. In fact it is 3:13 AM right now and I’ve been reading a bit about Knuth’s Literate Programming effort – something that I am sad to say that I don’t know nearly enough about. Evidently the faculty at UNL doesn’t put much stock in his CWEB language. Or at least not at the under-graduate level. Either way, I’ve never written a program using it. I often wonder what the distinction between mere random behavior and intelligence is. Good ideas are usually born from the ashes of old ideas (formulas, conjectures, and theorems in the parlance of mathematics). Two un-related ideas can be combined in a moment of ingenuity into something awesome. I do not believe in pre-determination or true chance. But of course, you would expect me to say that. I started a post a while back (which I haven’t finished yet) named “Semantic Comments.” When I happened to come across Knuth’s Literate Programming effort earlier this morning, I was struck by a sense of deja-vu but with a twist. Knuth strives to define meaning in English – a language accessible only to humans. I would prefer to define meaning in terms accessible to both humans and machines. It bothers me that comments are seen as an after-thought – something that the computer shouldn’t have to deal with. It just seems that we lack the precision to express our thoughts accurately. I started this post with the desire to discuss the Turing Test and online chat bots. Somehow in the last 50 years, despite rapid improvements in memory and processor speeds, a truly intelligent conversation with a machine still eludes us. Some people, like Ray Kurzweil, would argue that we just haven’t reached a sufficient point of maturity in hardware to emulate human brains. Why must we resort to emulation, however? 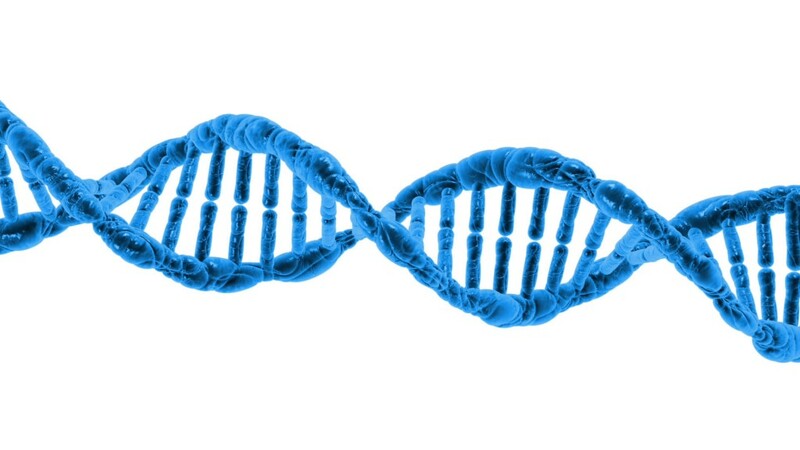 Are we not clever enough to figure out a solution without reverse-engineering ourselves? Anyone who has spent more than 30 seconds with a modern chat bot will clearly notice a complete lack of depth. Projects like A.L.I.C.E. 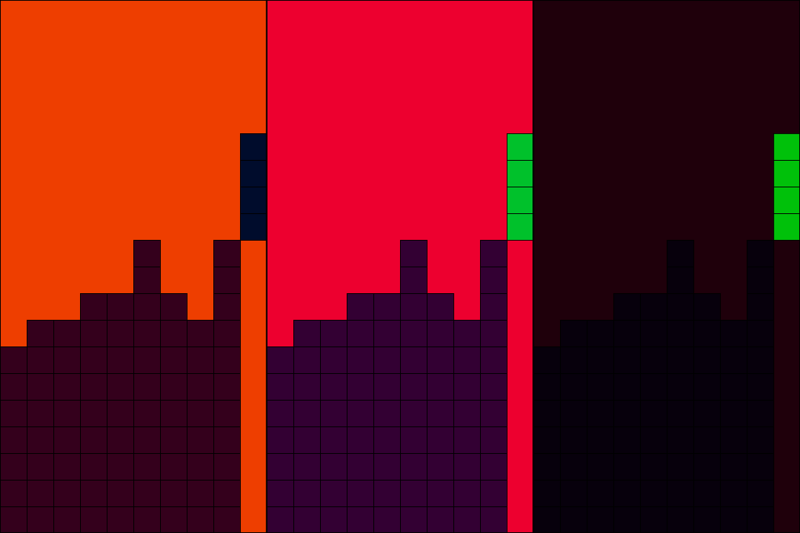 can seem to be responsive and mildly entertaining, but there is a definite sense that you are talking to a brick wall. My gut feeling is that people who write chat bots focus too much on the details. The bot has to be able to remember your name, or parse a sentence like “I hate you” and respond with a quip. Where do these requirements come from? In their effort to write a “convincing” chat bot, these authors miss the point: creating an intelligent system that can think and respond to your actions. If I write 2+2=4, most anyone with a basic education will understand what I mean. Language is built upon successive levels of knowledge – all starting with interpretations of the real world. We know what the word “Apple” means depending upon the context. But constructing a chat bot is inherently out of context. It would be as though someone stuck you in a dark room and translated Chinese to you one word at a time and gave you no access to the external world. So rather than focus on the arcane methods of sentence parsing and learning models, perhaps what chat bots need is a good dose of reality. Nothing less than a whole solution will suffice. You can’t eat Chinese food with a toaster. I came up with an idea this afternoon for a source code visualizer for Enterprise solutions. Basically it would provide a source code cloud built from files and their dependencies. Each cloud would be a logical block (function, if-statement, loop, etc.) and the user would be able to zoom in/out to any level as needed. You would then work on an application as a whole rather than on a set of files. Everything would still be saved out to standard files, but the entire application would be accessible in a visual manner that wouldn’t require lots of commands to open and close said files. The app would also tie into another idea I had a while back: multi-history versioning for files. Basically I want to be able to view the state of a file at any given point during my editing session, even if that means branching into multiple edit histories. Combining these ideas into CloudVIM would allow a developer to easily navigate to any source code at any time within a specified timespan. Coupled with SVN for storage this would provide a powerful debugging model I think. We need a good use for 1TB hard disks anyway. Megan (one of my co-workers) was repeating Monty Python lines this afternoon. Figured I’d dig up a proof of the airspeed velocity of an un-laden swallow from Google.